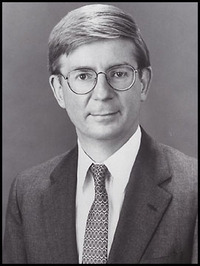 George Frederick Will is an American newspaper columnist, journalist, and author. He is a Pulitzer Prize-winner best known for his conservative commentary on politics. By the mid 1980s the Wall Street Journal reported he was "perhaps the most powerful journalist in America," in a league with Walter Lippmann (1899–1975). Will served as an editor for National Review from 1972 to 1978. He joined the Washington Post Writers Group in 1974, writing a syndicated biweekly column, which became widely circulated among newspapers across the country and continues today. His column is syndicated to 450 newspapers. In 1976 he became a contributing editor for Newsweek, writing a biweekly backpage column until 2011. Will won a Pulitzer Prize for Commentary f George Frederick Will is an American newspaper columnist, journalist, and author. He is a Pulitzer Prize-winner best known for his conservative commentary on politics. By the mid 1980s the Wall Street Journal reported he was "perhaps the most powerful journalist in America," in a league with Walter Lippmann (1899–1975). Will won a Pulitzer Prize for Commentary for "distinguished commentary on a variety of topics" in 1977. Often combining factual reporting with conservative commentary, Will's columns are known for their erudite vocabulary, allusions to political philosophers, and frequent references to baseball. Will has also written two bestselling books on the game of baseball, three books on political philosophy, and has published eleven compilations of his columns for the Washington Post and Newsweek and of various book reviews and lectures. George F. Will isn't a Goodreads Author (yet), but he does have a blog, so here are some recent posts imported from his feed. The U.S. weighs how far to “push back” against the Islamic State. Is this you? Let us know. If not, help out and invite George to Goodreads.